Let us create a gorgeous platter for you with our tasty selection of fine cheese, cured meats, and accoutrements. Custom platters and modifications available. Beverages, Wine, Beer, and Flowers available upon request. We are happy to make suggestions and recommendations, so don’t hesitate to ask. Although we’d prefer a twenty-four hour advance notice we are here for you so give us a call at 415.921.2001. 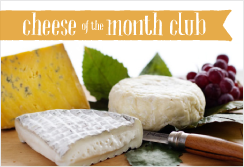 Our selection of the best cheese of the season. 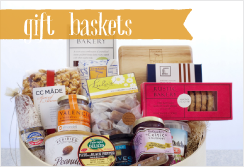 Includes a selection of 5 cheeses including cow, goat, and sheep milk. Served with imported Black Truffle Honey, Oregon Roasted Hazelnuts, sweet and tangy Spanish Membrillo Quince Paste, crackers and sliced baguette. Classic Genoa Salami, imported Prosciutto, smoky Niman Ranch Ham, oven roasted Zoes’ Turkey Breast, and Fabrique Délices Truffle Mousse Pâté. Served with Grain Mustard, crunchy Cornichon Pickles, crackers and sliced baguette. All things Iberian featuring nutty Aged Manchego, bold Valdeon Blue, and creamy Caña de Oveja sheep cheese, smoky Chorizo salami, and tender Jamon Serrano air cured ham. Served with crunchy Marcona Almonds, sweet and tangy Membrillo Quince Paste, crackers and sliced baguette. An all American salute to pork! Featuring La Quercia Berkshire Prosciutto, Zoe’s Meats Spicy Coppa, Olli Norcino Salami, and Fabrique Délices Black Peppercorn Pâté matched with a selection of seasonal pickled vegetables and grain mustard. Served with crackers and sliced baguette. You’ll be living La Dolce Vita with our selection of creamy 3 milk La Tur, sharp and nutty Piave*, traditional Gorgonzola Dolce Latte blue cheeses paired with Prosciutto, Finocchiona fennel salami, cured Olives, and roasted Red Peppers. Served with breadsticks and sliced baguette. Simple elegance… Rich and creamy French double crème Fromager d’Affinois, nutty aged Dutch Gouda, and tangy California Humboldt Fog. Served with dried fruit, nuts, crackers, and sliced baguette. 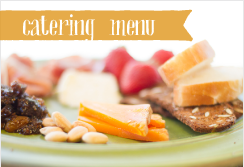 Our daily selection of 3 cheeses, with bread, crackers and accompaniments. A vegetarian feast complete with creamy Hummus, luscious Dolmas, our own lemony Mykonos Artichoke and Feta spread, cured Olives, Artichoke hearts, sweet Peppadew peppers, crunchy Caperberries, and sliced Baguette and Pita bread. Tender sliced baguette and crunchy olive oil crackers. 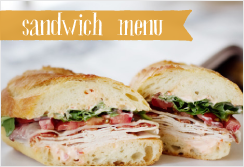 Our delicious housemade cheese spreads loaded with bread and crackers. Our tangy Capetown Cheddar spread with sweet Peppadew cherry peppers, our smoky Tip on Inn Aged Cheddar Ale spread made with hoppy India Pale Ale, and our bright garlicky Mykonos Artichoke and Feta spread are sure to please your crowd of armchair quarterbacks! 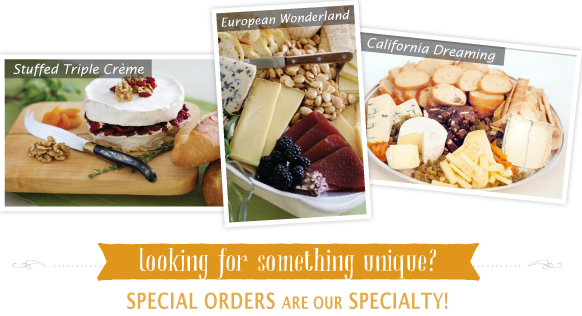 Our unique and crowd-pleasing cheese spreads are made in-house. Please call for pricing. As featured in our Mediterranean Meze platter. A bright and tangy blend of 4 cheeses with chunky artichokes. Our take on classic Pimiento Cheese Spread using sweet and spicy South African Peppadew peppers. Best seller! Bold and creamy pub cheese made with dark English Ale! Sweet and tangy Peppadew peppers stuffed with Sonoma goat cheese and herbs. Allergen notice: All food prepared in a facility that processes nuts, gluten, dairy, and animal products.